Favites sp under high magnification reveals interesting patterns that form stripes. 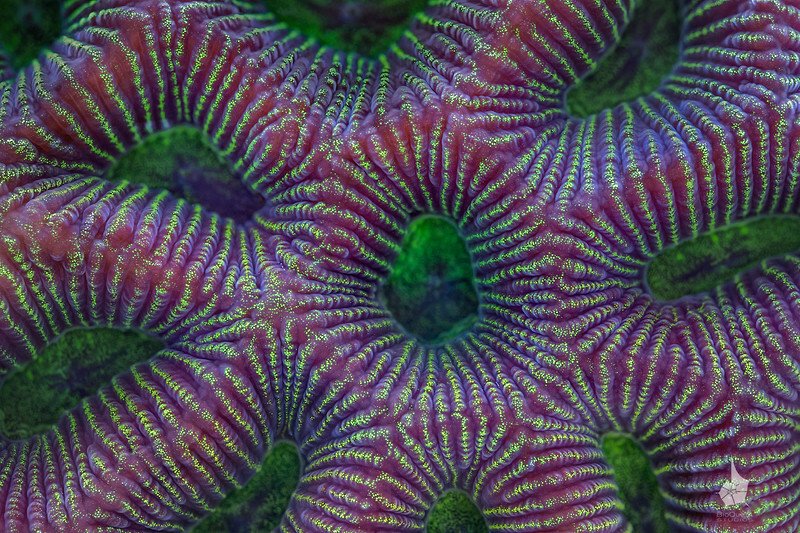 Aquarists and divers will only recognize this coral if they take many steps back from the screen as the whole area is of fingernail size. Side-by-side stereo image for those who are comfortable with eye-crossing and want to see this creature in 3d.